Peppermint and Spearmint are the first herbs that come to my mind when I thinks of mints. 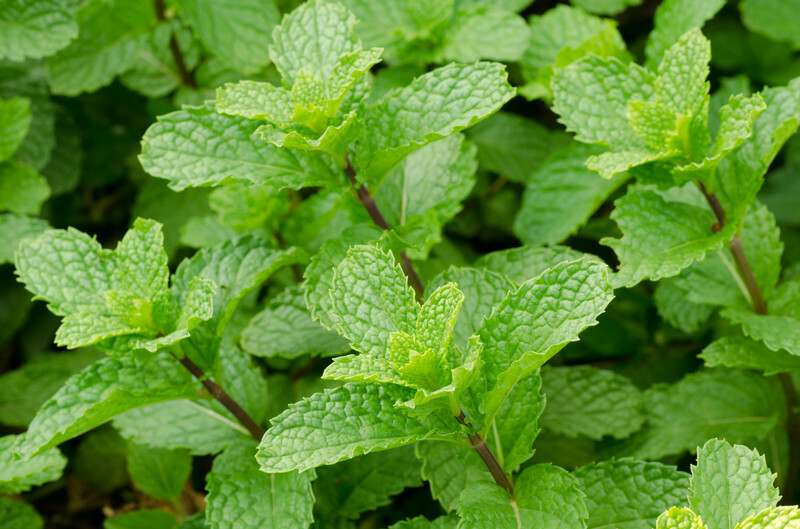 Did you know that Peppermint is actually a hybrid of Spearmint and Watermint ? They have spread through Europe, the Middle East and are now found globally. Did you know that there are many cultivars of Peppermint from chocolate to lime mint to orange mint to candy mint to even pineapple mint? This is also the pattern for how the herb itself grows. If you want to plant either one, the best thing is to grow it in a container as they are very invasive and will overrun any garden. Just a word of caution. I have some Chocolate Mint in a container in my flower bed and it keeps trying to escape. It sends out runners that try to replant themselves. I have taken some of the leaves and baked them in brownies. The leaves added a nice minty taste to the batch. I also need to try some as a tea. Chocolate mint tea sounds yummy. Peppermint leaves when dried make a fine tea that is very good for a troubled stomach and digestion. This is one tea that I have tried and it has helped me when I had an upset stomach. Peppermint Oil, as opposed to the essential oil, has been used as a flavoring for everything from confections to gum to mouthwash for bad breath to helping teeth and gums deal with germs. Peppermint Essential Oil has been used by aromatherapists to treat headaches, nausea, toothache and respiratory problems. The essential oil has a high amount of menthol, which give the oil its stimulating aroma. When used in a spray it can help one become more refreshed and awake. I know of one aromatherapist that uses the spray on long car trips to help be alert when driving. The menthol has also been found to have a cooling effect on the skin. It does this by stimulating the cold-sensitive receptors of the skin. Another good reason to use a peppermint spray or soap in the bath or shower in the summertime. Caution, but when making any soap or skin product you must tone down the amount used of Peppermint Essential Oil as it can irritate the sensitive areas of the skin. Spearmint has also been used as a flavoring in a wide variety of products from gum to confections. Its leaves are also great in a tea to help aid digestion. Spearmint Essential Oil is different from Peppermint in that rather than being a stimulating oil, it is more relaxing and calming. Just a delightful happy scent. Also, it does not have the high, cooling sensation of Peppermint. Okay which is your favorite mint~ Peppermint or Spearmint? I love the mints and don’t have a favorite. This spring I bought a new mint “Strawberry” and it’s yummy. I love to put mint springs in anything with ice- tea, water, lemon aid and wine spritzers. So pretty and festive. OMG a strawberry mint sounds really yummy. I really need to check that one out! Thank!